Comments Off on Should I seal my Travertine? There is so much information on the internet about sealers and sealing. If you go to a big box hardware store and ask about sealers, you will get three different opinions from three different people. Why would you pay someone to seal your travertine? The alternative is using the wrong type of sealer, applying it the wrong way, or buying a sealer based on price alone. You will have wasted your money, messed up your beautiful travertine floor or pool deck. Sealing travertine in Tampa has its challenges. Travertine paver sealing can be done with penetrating sealer or a combination of a penetrating and topical sealer. Travertine sealer can cause it to become slippery if not done correctly. Travertine sealer can change the color of the stone. How much will travertine sealer change the color? How long will it last? 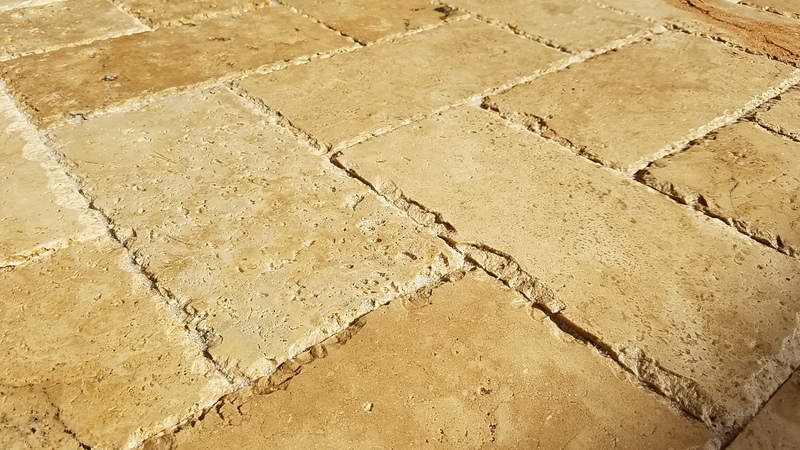 A professional sealing company (with experience) will be able to sample travertine sealers so that you can see what you are buying. Travertine sealers are made to protect a significant investment in your travertine floor or travertine pavers. Please take some time to do your research. 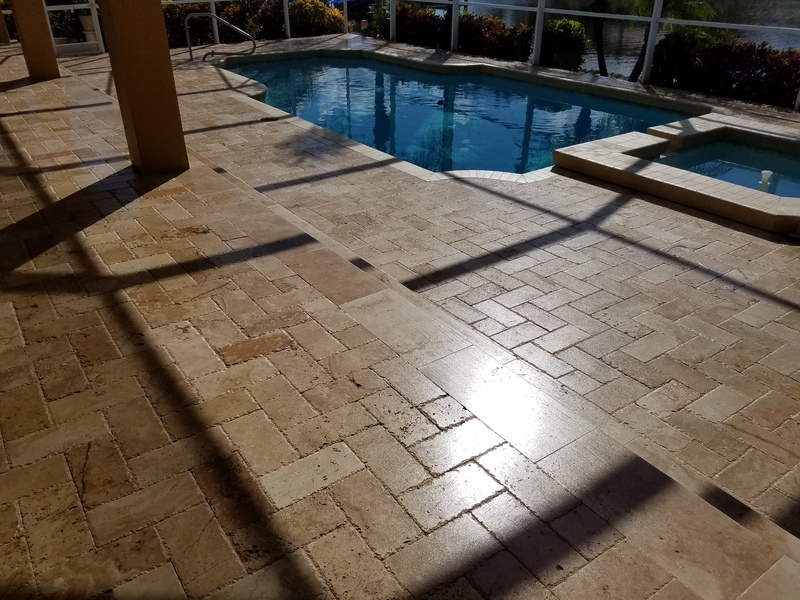 If you want a professional opinion on what to do with your travertine and find out what we offer, give us a call 813-421-2160.